Drove out to St.John's in July and got some shots of every model but a New Look. 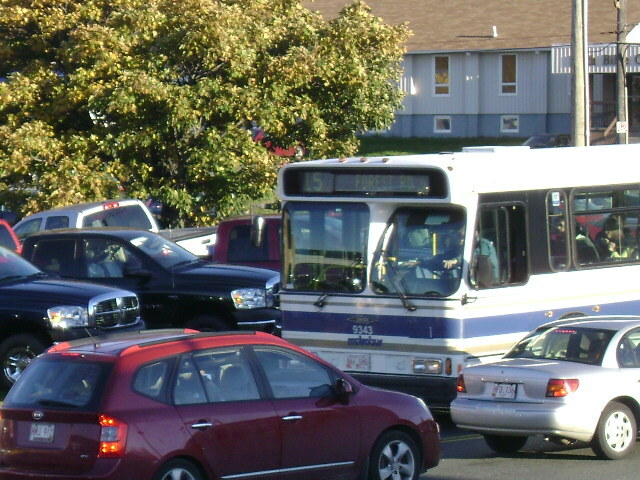 I also got some shots of Corner Brook Transit, which operates on the other side of the island, although they only operate Cutaways. 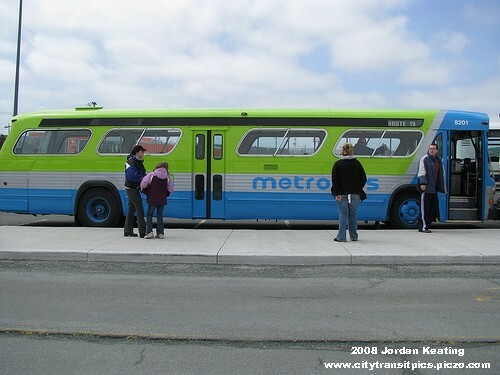 Here are the links to the Metrobus and Corner Brook Transit photos on my fotopic site (couldn't post it earlier as I was at work and fotopic is blocked). OMG THAT"S SICK!!!!!!! I LOVE IT!!! It's just about making me want to paint up one of my Busch GM New Look models in that livery right now! Anywhere I can find large images of 8201 in that old livery? There are only 5 New Looks left in the Metrobus fleet! How long will they last? Would you be able to get the VIN and license plate info once those buses are in service, for those of us who collect such info? :angry: OMG THAT"S SICK!!!!!!! I LOVE IT!!! It's just about making me want to paint up one of my Busch GM New Look models in that livery right now! Anywhere I can find large images of 8201 in that old livery? There are only 5 New Looks left in the Metrobus fleet! How long will they last? Check out my website! www.citytransitpics.piczo.com if they are not big enough for you i can email one if you like! I did check out your website, but I really like this picture you just posted now! Its not on your website though. Can you send me a large version? I'll send you a private message with my email address. Thanks! BTW, I'll be painting a model of #8201 in this old livery soon! Okay.. this is now my second favourite livery! I've always been a fan of simple liveries, white or black with a couple of stripes, never liked to see the entire bus painted in colour. But, I am a sucker for green, and this is just too hot to ignore! Ya its a Resent Photo i just took! Sure. That would be nice send me pics!!!!! When I'm finished painting it for sure I'll show pics. BTW, I just PM'd you with my email address. Isn't it Saint John NB and Saint John's NL? I meant the VIN and license plates of the new LFS40102s. Of the 2008 models i will try!!!! Another list to be scratch off from the New Looks remaining in the fleet. I remember someone said that Metrobus didn't want anymore LFS after the 2004 order, keeping the New Looks for much longer. But it seems to be someone from management changed it's mind to order LFS from now on. STM_5307N recommended that I check out this thread... I think it's really cool that Metrobus painted a bus to commemorate their 50 years. I wonder if the TTC would want to whip out a maroon and cream livery bus for 2009! I wouldn't hold my breath on that one! LOL! But if they do another rehab on 52 new looks, maybe they would. On to the topic, I have an up to date fleet roster (up to 0861) with the VINS and plates. What do you need? Yeah.. how cool would it be to see the 52 re-rebuilts all done up in maroon and cream! Have my doubts, cause TTC is cheap as hell! You never know? ask them? They won't do it, I know what TTC is like!